Jenson Button will drive Emerson Fittipaldi's iconic 1974 title-winning McLaren M23 at the Monterey Motorsports Reunion in August. The event, held at the similarly iconic Laguna Seca circuit, represents all that is good and glorious about classic motorsport in the United States, with more than 550 historic vehicles on the entry list for the weekend. For Button, who drove the M23 at Silverstone and in London's Leicester Square at the premiere of the Rush movie in 2013, the Monterey event will mark his first outing in F1 machinery since hanging up his helmet in Abu Dhabi at the end of the 2016 grand prix season. "It's always special to drive a Formula 1 car with such an illustrious past," said Button, "and the M23 wrote a significant chapter in grand prix history during the 1970s. "It's a somewhat strange sensation to drive a car from this era," he continued, "you sit much more upright in the cockpit, and you feel like you could almost reach out of the cockpit and touch the front wheels. "But, once you drive it, you quickly start to understand what made the M23 so successful - it's incredibly easy to drive, has a really consistent balance, and plenty of feel: everything you put into it, you get out of it, which is very rewarding for a driver. "I can't wait to show this car off to the thousands of fans and aficionados at the Monterey Motorsport Reunion this summer." 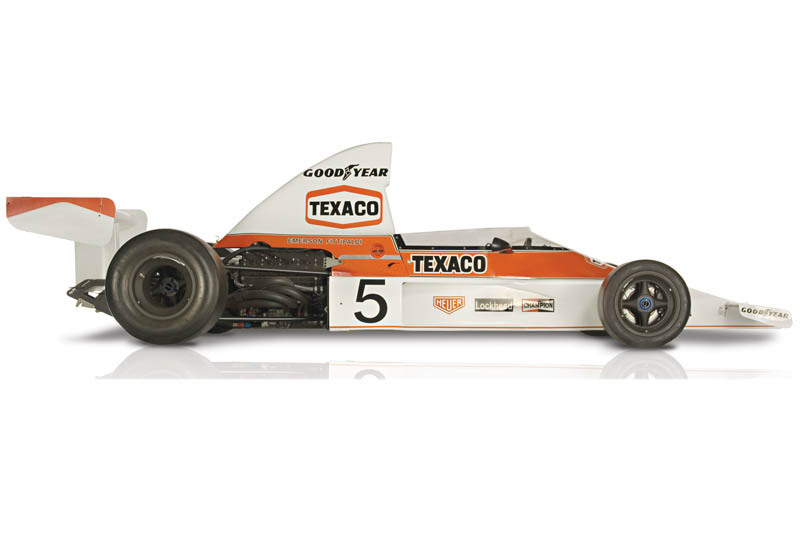 The McLaren M23 contested 80 grands prix between 1973 and '78, winning 16 races and three world championships - 1974 drivers' with Fittipaldi and constructors'; 1976 drivers' with James Hunt. "We are honoured to host Jenson Button and the McLaren Formula 1 team at the Rolex Monterey Motorsports Museum," said Gill Campbell, CEO and general manager of Mazda Raceway Laguna Seca. "Formula 1 has deep roots in the 60-year history of Mazda Raceway Laguna Seca. 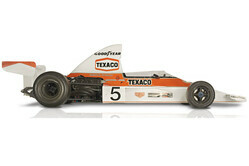 These exhibitions will provide a great link between motorsport's past and present." "Take an M6B or M8 as well - have some REAL fun!!!" "Damn, he retires and gets to drive a good Mclaren, just not fair."